After reading Leigh Straw’s After the War, I kept wondering how it had all turned out so badly. The catalyst for Straw’s research was the discovery that her husband’s great-grandfather was involved in a particularly brutal murder-suicide in Collie, a small mining town east of Bunbury. So, for Leigh Straw, it was personal. Somewhat fortuitously, a couple of months ago, I had read Geoffrey Bolton’s A Fine Country to Starve In, his account of the Depression experience in Western Australia. As I read Straw, I got a terrible sense of déjà vu: the same people, the same places, the same experience. 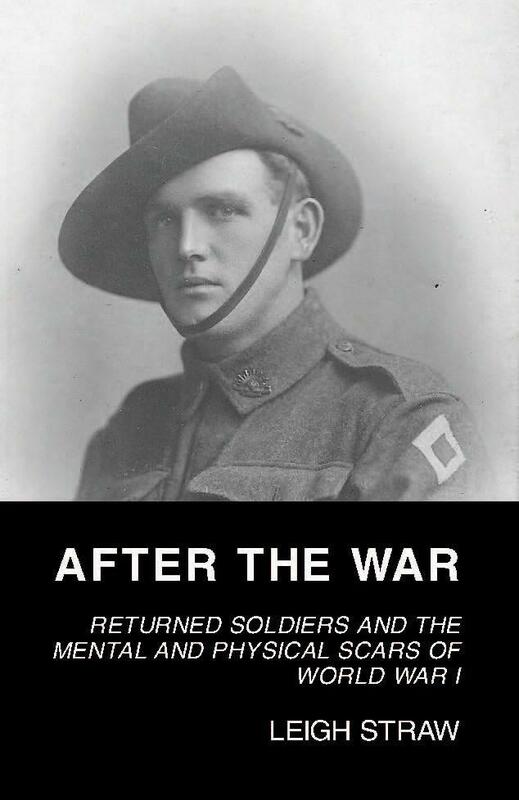 As well, I read Marina Larsson’s Shattered Anzacs to provide a framework in which to read the WA experience. I think Straw’s is a wonderful book that builds on the two books mentioned, adding a new, if somewhat un-overEast perspective. Firstly, it simply adds to our body of knowledge – underscoring the universality of many of the experiences. There is the initial enthusiasm, the shattering experience of warfare at Gallipoli and, in time, the trauma of repatriation for all who got home, especially those returning with physical or psychological scars. But the real beauty of the book is the stories. Leigh Straw tells each story with empathy and understanding. Her excerpts from letters, newspapers and interviews are used judiciously to help us understand the minutiae of the struggle, within the bigger picture. There are men – brave men, too – who find the strain of war too great for their mental stamina. They see terrible sights and see terrible things, and these react upon them temperamentally and physically. Gradually, perhaps unconsciously, their ability to cope is overborne. Their mental power is exhausted. They become afraid – dreadfully, terribly afraid – and the end is only a matter of time. However, there are certain Western Australian elements to the story that resonated from reading the Bolton beforehand. Isolation, as well as the fragility of the WA economy (both mining and agricultural) made the experience of the post-war decade leading into the Depression that much tougher. Moreover, Straw makes the point that the demographic balance in Western Australia skews the history. Many of those recruited were Victorians or Britons, working either on the Trans Australian Railway or in small scattered mining towns. This meant that, for many of those repatriated, there were simply not the familial or community structures that existed in the Eastern States. Add to that, the state government had neither the resources nor the understanding to respond to the unfolding trauma – a situation that would repeat itself when the Depression hit. Two places mentioned in the book deserve a comment. 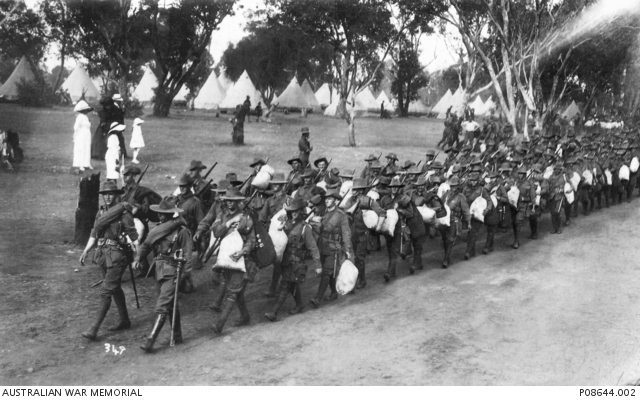 There is a wonderful photo of the first WA contingent, the 11th Battalion, leaving Blackboy Hill Camp in November 1914. These men would land at Anzac Cove on 25 April 1915, and the unit’s diary record of the early weeks reads like a first draft of the Anzac Myth. That photo reflects the enthusiasm and excitement of the young men as they went away to fight for King, country and empire. As I looked at the photo, I realised I was looking at the same place where, 16 years later, the premier Sir James Mitchell would set up a camp for unemployed men to sit out the worst of the Depression – so brilliantly described by Bolton. It is not a long bow to see the irony – the end of the After the War experience was to end up quite literally, where it started. The second place is the Woorolooo Sanatorium, about 50 kilometres east of Perth, that was set up as an infectious diseases hospital in May 1915. It was good timing. As Marina Larsson has so ably analysed, tuberculosis was the scourge of many returned soldiers. The Western Australian experience has a particularly nasty twist. Many of the Diggers were just that, miners from Kalgoorlie and other scattered mining communities. A disproportionate number of these men were to end up in the tunnelling companies, and not surprisingly many of them were to contract and suffer from TB. 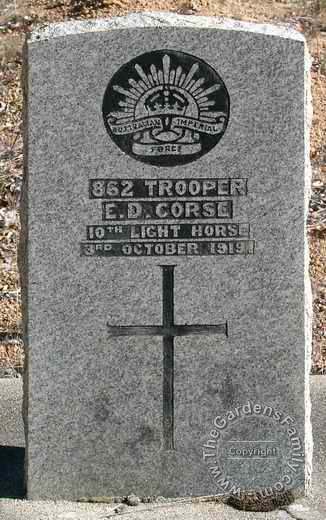 The Commonwealth War Graves Commission tends 41 graves at Wooroloo, including that of Ernest Corse, whose story is told in the book. He was a horse-collar maker(!) who emigrated from London to Perth in 1910. Enlisting in 1914, Ernest was invalided home after Gallipoli suffering from influenza that was upgraded to TB in December 1915. After three years of him in and out of Wooroloo his wife left him, his children were put into state care. He was discharged from Wooroloo in October 1918, and lived a transient unemployed life until August 1919 when he was again admitted. He died at Wooroloo in October 1919. Somehow I don’t think Rupert Brooke could have seen how very far his corner would’ve ended up. So what happened to Andrew Straw, the catalyst for this book? Well, the short answer is that he came back from the war a ‘changed man’. And, in the tiny community of Collie, that would have terrible consequences when in 1929 he committed a crime that has at its heart the trauma of ‘after the war’. Leigh Straw quotes the Truth from 4 August 1929, a week after the murder-suicide and the funerals had taken place. After the War is a fine book which is a worthwhile addition to the body of work that exists already. It is ironic that the title is a more neutral statement – no ‘shattered’ or ‘lasts’ or ‘limits of hope’. Like the Truth inferred, it is well to remember these persons. Somehow, a century later, we are still keen to remember what happened in the war, but not so much after it. * John Shield teaches history at Darwin High School, Northern Territory. He has written previously for Honest History: how to teach and commemorate Anzac; review of a biography of Chester Wilmot; Top End Anzackery; review of the edited diaries of William Baker Ashton. ‹ Tatz, Colin: Australians may well love their sport, but why don’t we delight in success elsewhere?